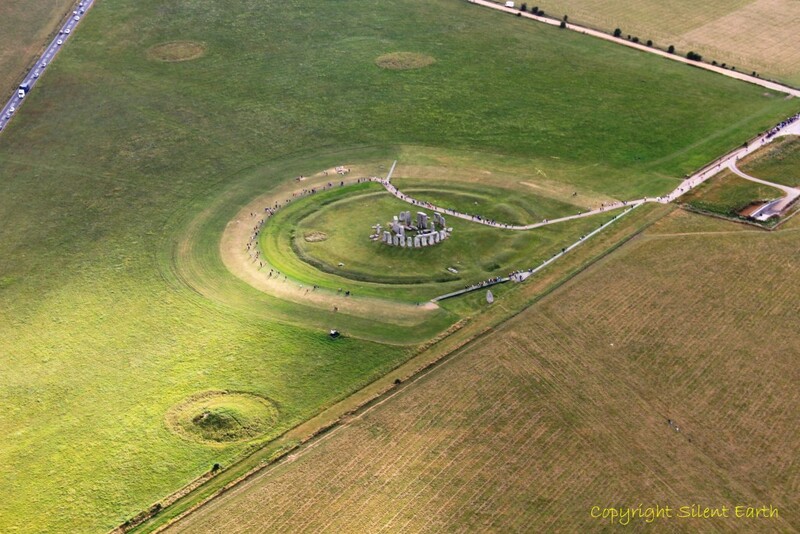 On Friday 29 July 2016, I was given the opportunity to take a flight over the Stonehenge landscape in an Ikarus C42 microlight airplane from Clench Common airfield south of Marlborough with GS Aviation. Below: Approaching from the north in the late afternoon, the first feature north of Amesbury and to the northeast of Stonehenge that comes into view is the enormous ditch and bank of Durrington Walls where excavations were carried out by the Stonehenge Riverside Project in 2008, outlined here. The patch of chalk to the lower left of this photograph is a trench being dug in anticipation of excavations carried out during August 2016, which are described in a series of National Trust blog posts here. 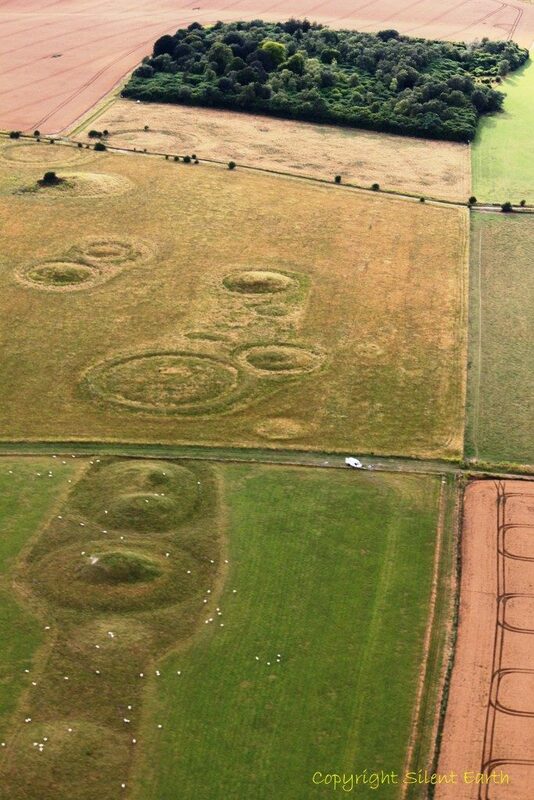 Below: During the flight I didn’t obtain a photograph of Woodhenge, which is immediately south of Durringtom Walls. Pete Glastonbury has kindly provided this one, taken on 2 September 2015, looking west. ‘When the 56 postholes were investigated in 1929, deposits were found in only 5, all in the outer 3 ellipses. They were in significant positions and all contained special deposits. Three marked cardinal positions. At the exact north was the only cremation. A chalk ‘cup, probably female sexual imagery, and a piece of worked chalk lay with the bones. At the east was another chalk ‘cup’ and incised chalk had been buried. At the south was a chalk axe and more worked chalk. Two deposits were solar. Midsummer sunrise was defined by another chalk axe and a piece of chalk incised with indecipherable motifs. At the south east a posthole in line with the midwinter sunrise held a chalk ‘cup’ and one more chalk plaque. 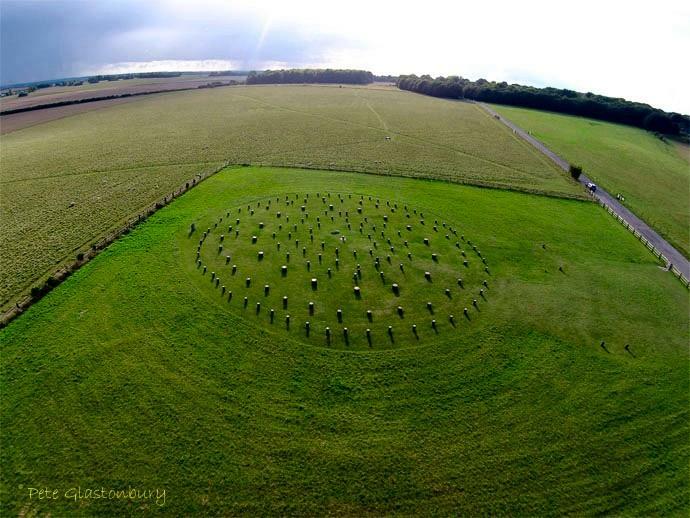 It was as though Woodhenge had been endorsed by a Grooved Ware ceremony.’ – Aubrey Burl, Stonehenge. 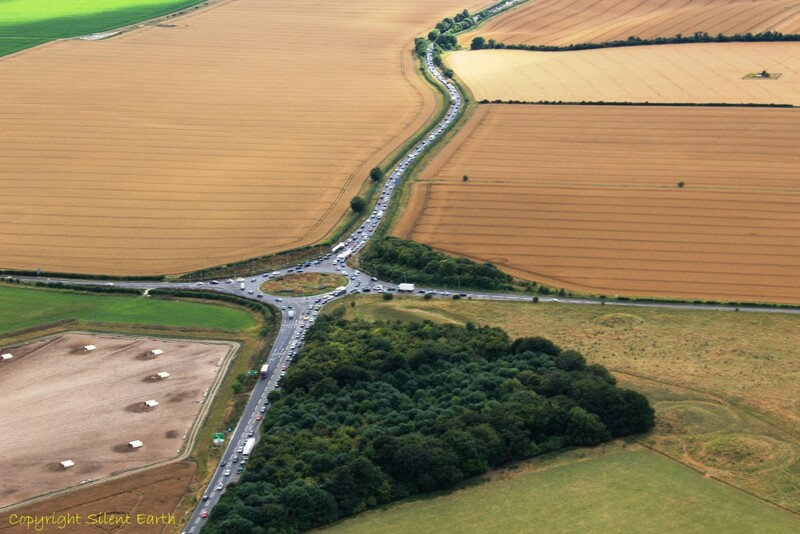 Below: Flying south from Woodhenge, the Countess Roundabout north of Amesbury comes into view. The Avon River can be seen at the top of the photograph making its serpentine passage across the landscape here, east of Stonehenge. St. Mary and St. Melor’s parish church of Amesbury is also visible in the central upper section. This is the closest parish church to Stonehenge and perhaps the cult of St. Melor of the Silver Hand hints of links to Nuada and of earlier associations and activities of man in this enigmatic landscape. 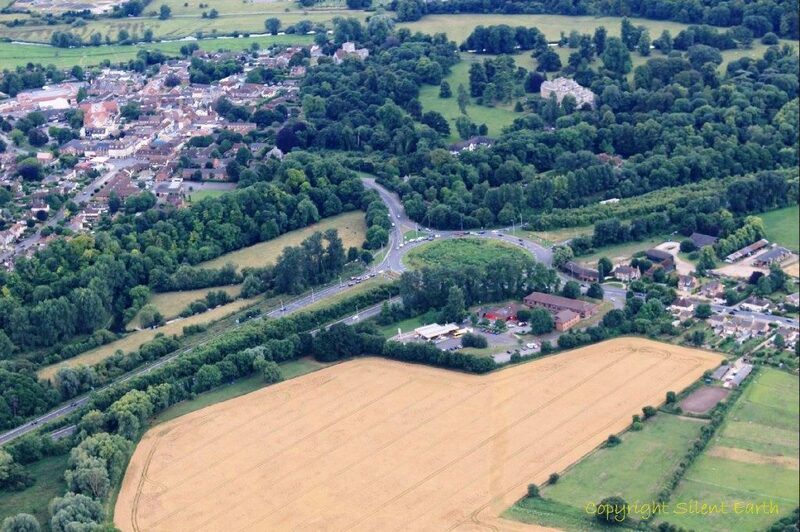 Below: Flying then immediately west along the A303, to the south, the ‘Mundus Absconditus’ of Vespasian’s Camp is visible from above, more here. Below: This field immediately west of Vespasian’s Camp is where the western leg of the Stonehenge Avenue runs south to the River Avon and West Amesbury Henge on the northern bank of the river. 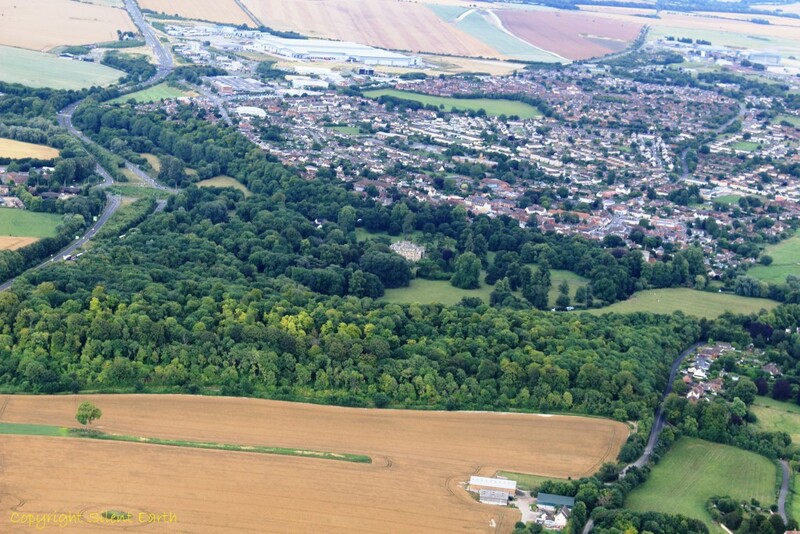 Below: Between the affairs of man conducted in Amesbury since Mesolithic times — and probably earlier — and the Stonehenge monument once standing in splendid isolation on Salisbury Plain, lies Coneybury Hill (the hill of rabbits), where Coneybury Henge stood around 2750BC, more here. On the central right of this photograph is Luxenborough Plantation, where Coneybury Hill drops down into Stonehenge Bottom. The River Avon is just visible in the upper left here. 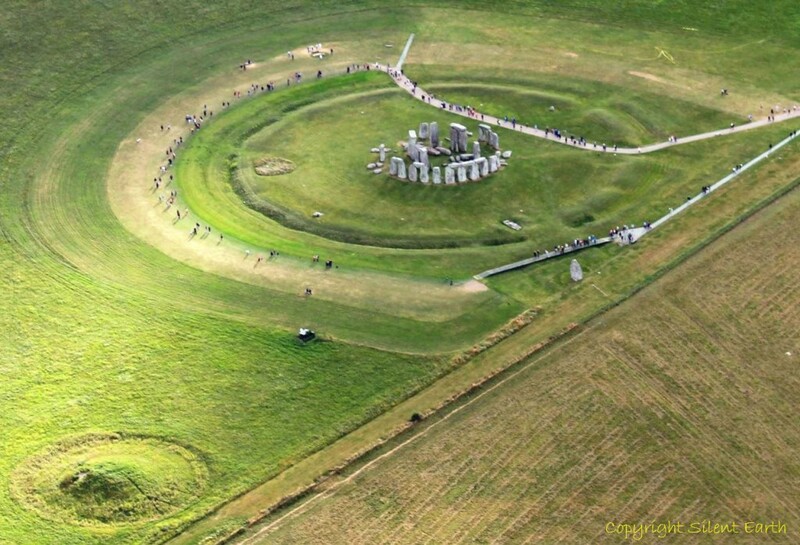 Below: Flying west and immediately north of the A303, the Stonehenge monument finally soars into view. 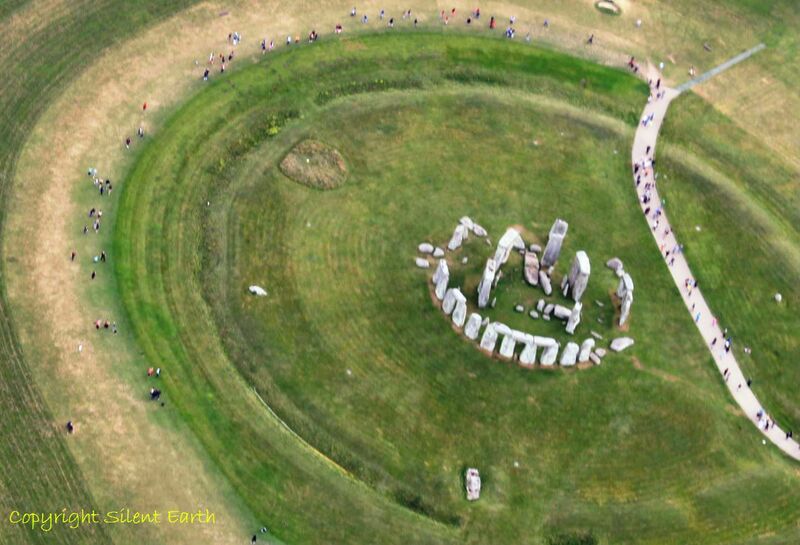 Below: A bird’s eye view from the northeast, the Slaughter Stone is in the foreground. 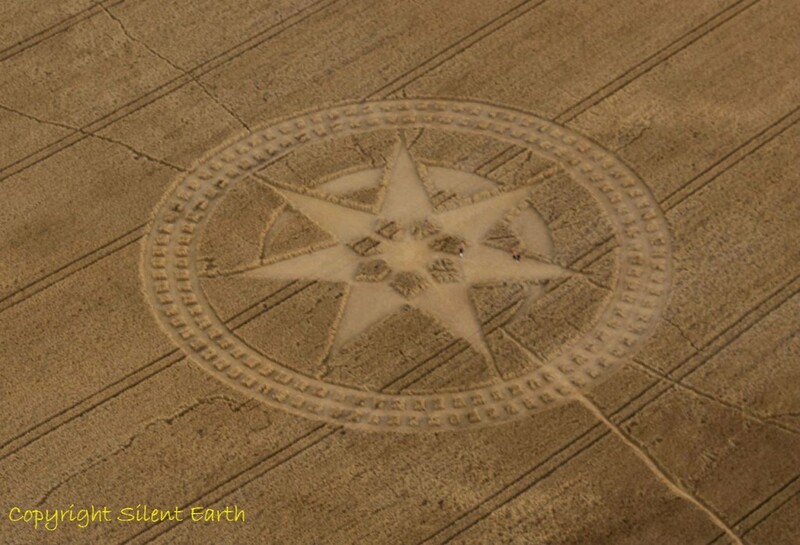 Below: On that summer’s afternoon in late July 2016, this crop circle was in the farmer’s field immediately south of the monument. 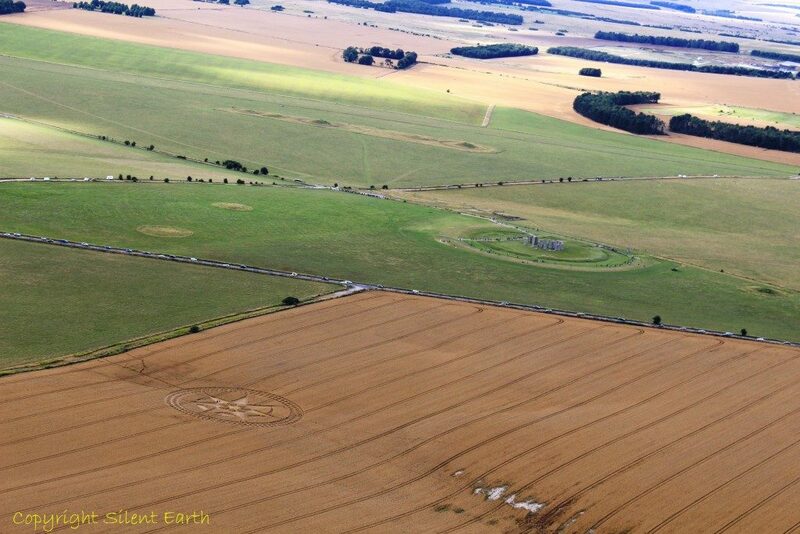 Below : From south of the A303 looking north towards Stonehenge. 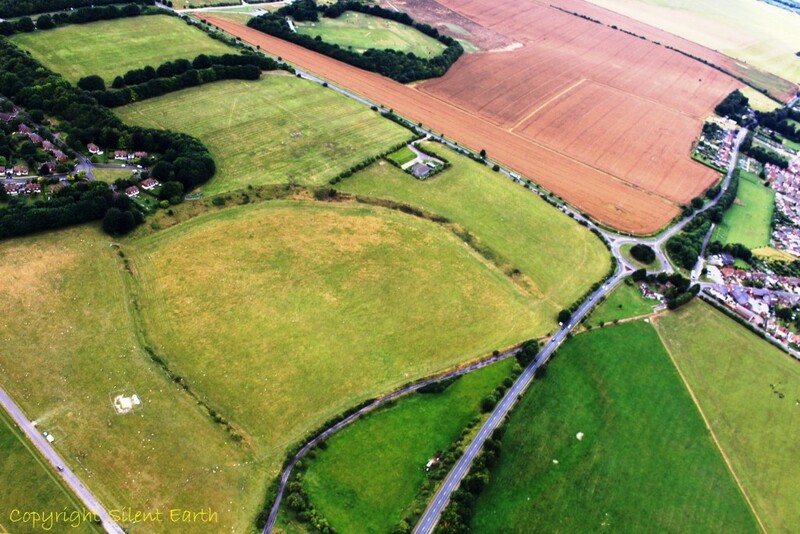 The Bronze Age Cursus Barrows can be seen to the northwest, beyond which lies the Stonehenge Cursus. Below: The Bronze Age barrows of Normanton Down, immediately southwest of Stonehenge, including Bush Barrow, the final resting place of an ancient “King of Stonehenge”. ‘The primary burial was of an adult male, buried lying on his left side, in the crouched position. The grave goods (including the Bush barrow gold lozenge found on his chest) show that this was a princely burial from about 1900 -1700 BC.’ It has been suggested that the portal entrance to the proposed Stonehenge tunnel may be located in the central left area of this copse of trees, in the heart of the Stonehenge prehistoric landscape. 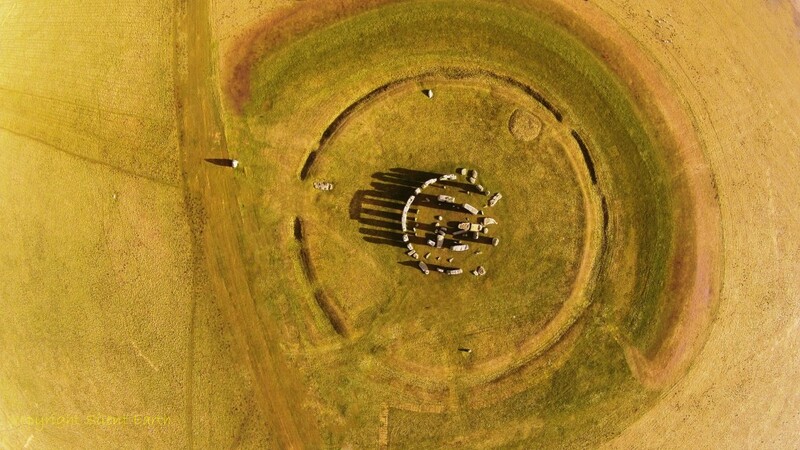 Below: Flying further west along the route of the A303 is Long Barrow Roundabout and the final resting place of a Neolithic king of Stonehenge some 5500 years ago. 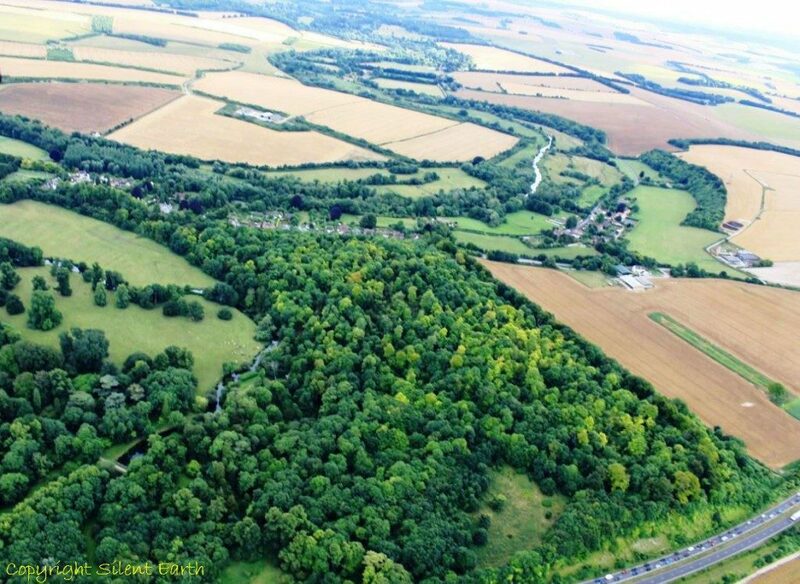 The long barrow can be seen on the northern side of the road to the central lower right here above the main copse of trees. 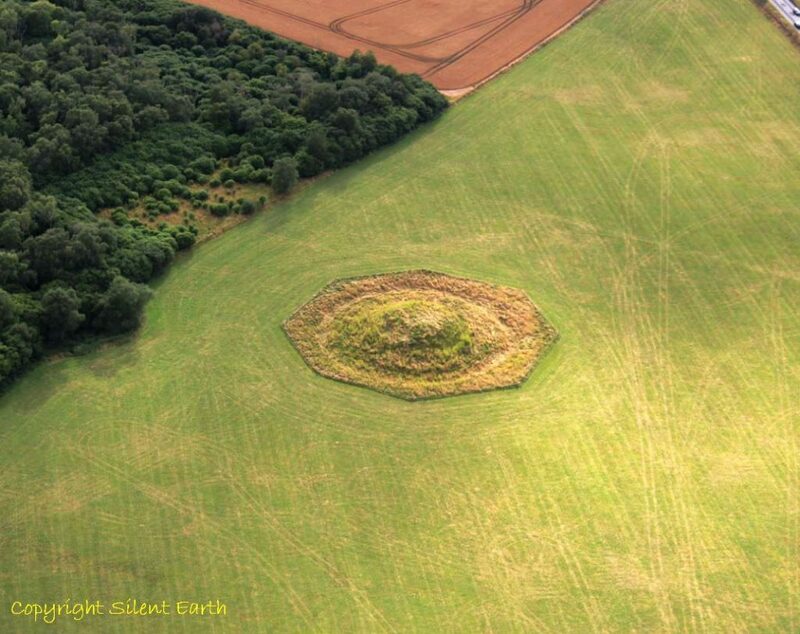 More on this Winterbourne Stoke Long Barrow and bronze age barrow group here. 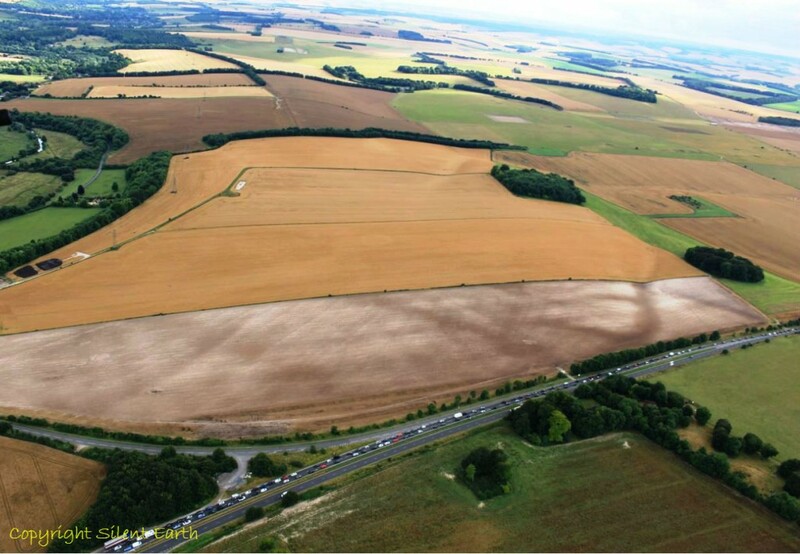 There are many other aspects of the Stonehenge prehistoric landscape not covered here, including the Stonehenge Avenue processional approach from the north of the monument, King Barrow Ridge, the Stonehenge Cursus, Lake and Wilsford barrows. 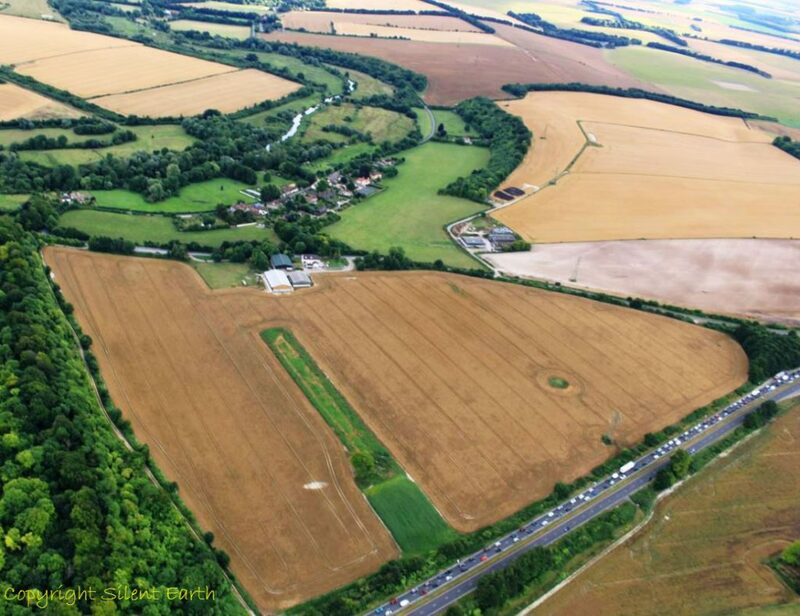 Below: The Stonehenge landscape is changing, as evidenced by this photograph looking east across Vespasian’s Camp where a Tesco’s regional distribution centre has recently been constructed to the east of Amesbury.